﻿ Misty Hills Country Hotel Johannesburg. JIMAT di Agoda.com! Ada soalan mengenai Misty Hills Country Hotel? Bagi para pelawat yang ingin menikmati sepenuhnya pengalaman di Johannesburg, Misty Hills Country Hotel merupakan pilihan tepat. Terletak hanya 30 km dari pusat bandar, para tetamu berada di lokasi sesuai untuk menikmati tarikan dan aktiviti di sekitar bandar. Dengan lokasi yang mudah, hotel ini memberikan akses mudah ke tempat yang anda perlu lawati di bandar. Di Misty Hills Country Hotel, segala usaha dilakukan untuk membuatkan tetamu berasa selesa. Oleh yang demikian, hotel ini menyediakan perkhidmatan dan kemudahan yang terbaik. Hotel ini menyediakan akses kepada pelbagai perkhidmatan yang luas, termasuklah khidmat bilik 24 jam, Wi-Fi percuma semua bilik, pengawal keselamatan 24 jam, gereja kecil, pengemasan harian. Misty Hills Country Hotel mengandungi 199 bilik yang dihias indah dan menawarkan televisyen skrin rata, internet wayarles, internet wayarles (percuma), bilik larangan merokok, penyaman udara. Hotel ini menawarkan pelbagai kemudahan rekreasi yang sangat baik, termasuk tab panas, pusat kecergasan, kolam renang terbuka, kolam renang tertutup, spa. Kemudahan yang hebat dan lokasi yang sangat baik membuatkan Misty Hills Country Hotel menjadi asas yang sempurna untuk menikmati penginapan anda di Johannesburg. Sila hubungi pihak hotel terus untuk tempahan Spa, tempahan adalah penting. Penginapan ini beroperasi dalam persekitaran bebas tunai bagi memastikan keselamatan semua tetamu dan kakitangan. Penginapan menerima semua kad debit dan kad kredit utama. Crisp white bedroom linen. Summerhouse Restaurant suitable for romantic dinners. Lounging next to the swimming pool. A mere 45 minutes from my surbub yet Misty Hills Country could be a 100 miles away. Every thing including about our anniversary here including the birds in the many trees seemed to collude to share In our happiness. It is evident that there is a shared passion for hospitality from the owners through to staff. A lady called Doreen from client relations personally made our stay very special. If ever I need to escape the city I will consider Misty Hills first. Large rooms, enough rooms. Pool side fitted with bar for our private group. Free internet and free use of business center. We were hosting friends from out of town and this was a perfect private place with many amenities fro socialising. The Coffee House is an intimate corner where snacking and pastries had us filled. The interesting historical artefacts gave us a lot more to talk about. Short distance from the city bustle. The country setting makes for relaxation atmosphere. The attentiveness of the staff, from security to housekeeping. The Carnivore Restaurant was simply unique an experience. I had forgotten my hotel voucher and staff allowed me to retrieve it from their business center. The patio, the outdoor pool and a fitness facility kept us very busy. My daughters used wireless internet which is complimentary in public areas. I had lovely sundowner along at the poolside bar and the waiter was just cheerful. Nicely tucked away, a stone throw within major cities. 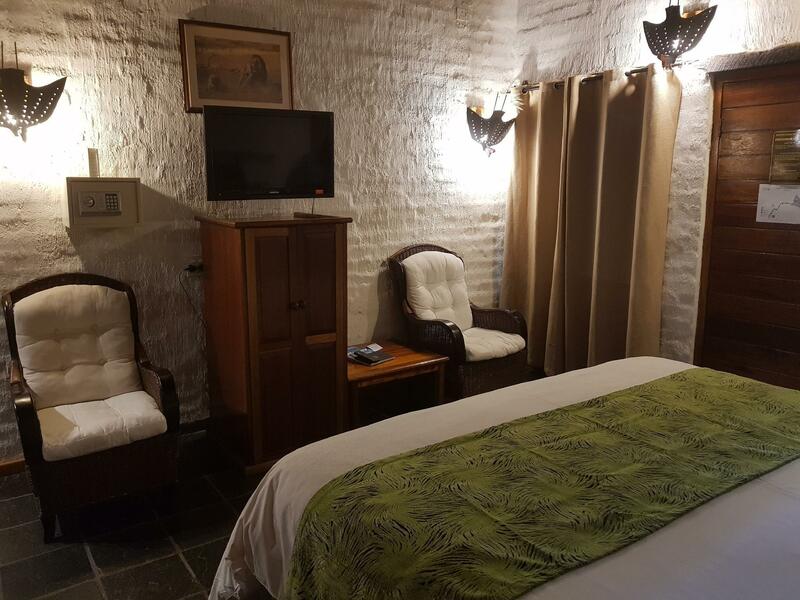 The African-style architecture impressed us immensely particularly in our rooms the African decor was refreshing for sore eyes. The scrumptuous and generous meals served at the Boma surrounded by lush tropical vegetation complemented the fantastic service. 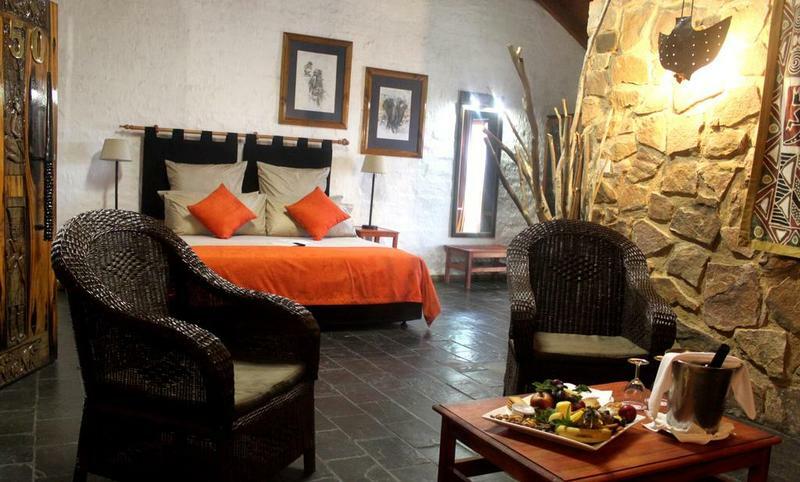 Best of all was the location in the foothills of the Magaliesburg range and is situated in a Cradle Of Humankind conservation area. Treatment that my family receives each time makes Misty Hills a truly distinctive choice. The de luxe rooms are equiped with Bar Fridges, ideal for medication and when traveling with infants. 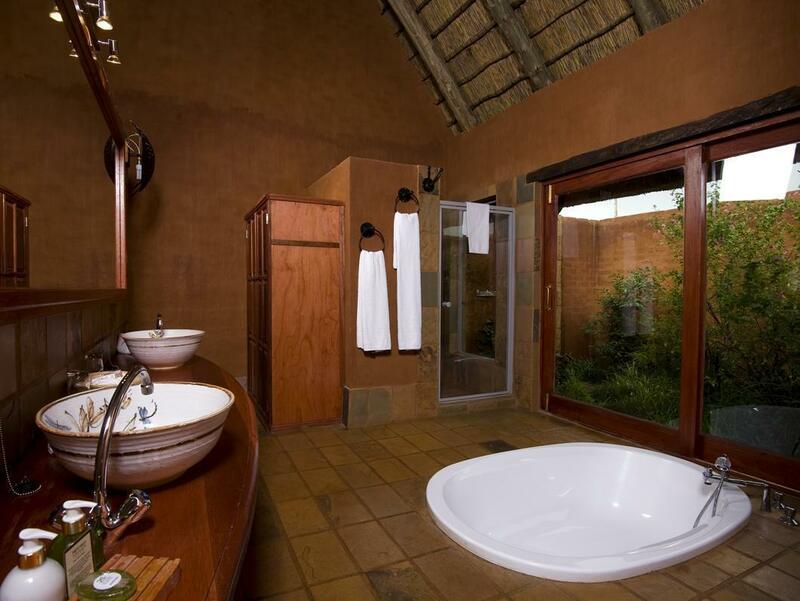 Bathrooms offer separate bathtubs and showers, mirrors, hair dryers, and complimentary toiletries. Housekeeping serviced daily. African charm fused with colonial class in the foyer makes this place a hit with my family. The rich vegetation, water features and green enviroment is healing to the soul. Easily accessible from the city yet remote and tranquil. this is for people who want to enjoy themselves without feeling it in the pocket. the many amenities offer the businessman free wi-fi and business center value, while leisure the traveller gets properly entertained within the resort or outside. i love dipping in the gigantic pool, having a dash at the exercise bike in the gym or reminiscing on a sundowner at the gin box. ngwenya glass village is a great place to pick up trinkets. the food and cleanliness is great. the distance is equal from the major cities what with petrol and traffic problems. Rustic old world charm on the shoe string. Definitely worth more than cost. Ladies outing during Womens Day holiday was a smashing success! The drive from the city to the resort is a breeze. Upon check-in no hassles at all; from the parking lot, the recption to the rooms was a free flow assisted by the staff. The natural ambiance set by the lush green gardens and the singing birds brought such tranquil. The deluxe rooms are spacious and can fit a third bed but we had no children accompanying us. Breakfast was a spread and the staff were just handy with a smile. We annexed the poolside and had a relaxed day. Free WiFi meant everyone at home on Facebook got to know about the great time we were having. Pity we stayed 1 night. Easy access breakaway retreat. Should be costing more than it does. We arrived on time and checking in was a breeze. The golf cart driver ran our luggage to our room. Service was top notch at the Carnivore Restaurant on the first night and Summerhouse Restaurant on the second night. Doreen and Nomsa at Customer Care really took care of our every whim though we are not fussy. Breakfast was a spread and that would bring me back any time. Wi-Fi really is free and high speed unlike some places we have been. Our stay at the Misty Hill hotel for the weekend of 6/2/2012 - 6/4/2012 was very pleasant and it is quite and a lovely place to rest and recharge your batteries to very near to nature. The staff is very friendly and very helpful and the restaurants at the location is affordable and the meat served in the restaurant is out of this world. We enjoy our stay and recommend it to our friends and family. I wanted a hotel which is near the Cradle of Humankind, so that I can visit the sites early in the morning without having to drive out of Johannesburg in the morning rush hour. 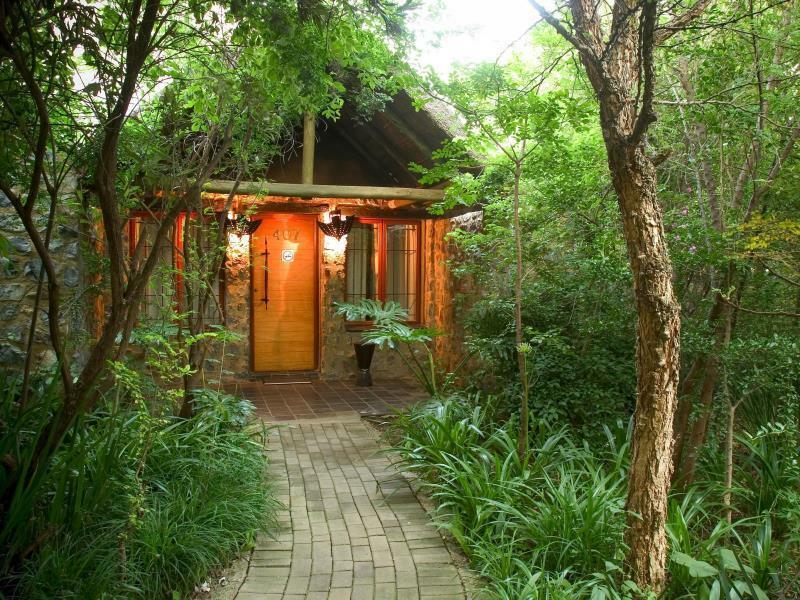 I was glad to find Misty Hills Hotel as it's near the Cradle of Humankind and the famous Rhino & Lion Nature Reserve. The hotel is in the countryside (Do some research on Google Map first, to avoid getting lost) so the air is fresh and the environment peaceful and quiet. The hotel rooms are in separate buildings in a village-style setting, so bring umbrella in case it rains. At night keep doors and windows closed, as the light in the room attracts insects. The buffet breakfast is great, with standard English breakfast items and a selection of cakes/bread. Great rustic ambiance. Tranquil enviroment augmented by water features. Friendly staff but we were inconvinienced because breakage and extras deposit was required upfront thought it was not communicated at the time of booking. Even though it is refunded at check-out we would prefer to know before-hand so as to budget for it. Clean rooms, great breakfast, Carnivore Restaurant an unforgetable cullinery experience. An African getaway for city dwellers with vast tranquility just minutes from the bustle of surrounding cities. We were met by friendly staff. 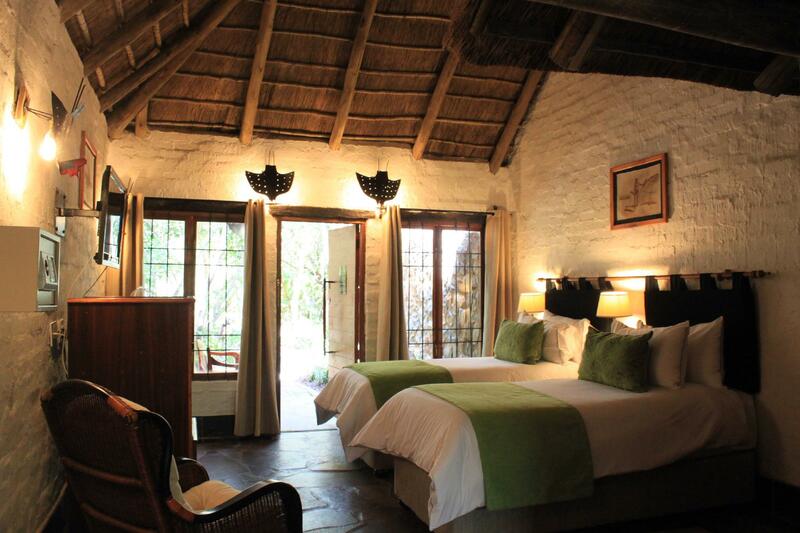 The rustic modern hotel rooms featured impressive fresh and morden African design. Breakfast was a scrumptuous feast that I can reccommend tro any discernig traveller. For the amount that an individual pays you would think that the place was at least well kept. Staff were not that friendly. The egg breakfast section was not that great, the food looked so oily. The confectionery was much better. The hotel gardens are very well maintained and excellent service by friendly staff. Wifi does not work or very weak most of the time. The treadmill does not work and there is only one? Both pooltables were out of order. Indoor spa swimming pool was ice cold because of a heating/maintenance issue. Staff was unaware when these maintenance issues will be attended to. These issues will however not deter us from coming back to this beautiful, peaceful hotel though! I always enjoy Misty Hills atmosphere, very tranquil and peaceful. I would really suggest they cater more halaal meals (meat). A bit disappointing that they don't have much variety regarding the halaal dietary requirements. It will however not keep away from frequenting them. Staff is amazing - Yvette is always accomodating and so welcoming. A pleasure to deal with always!